The Board for Professional and Occupational Regulation (Board), in response a request by the Board for Barbers and Cosmetology, conducted a study to detelmine the need for regulation of estheticians. The Board recommended that further coordinated study be done with the Department of Health Professions to determine the appropriate regulation of this and related occupations such as electrology. Based on research and public conlment, the Board has found convincing evidence to support regulation by mandatory licensure of Estheticians and Electrologists through the Board for Barbers and Coslnetology with appropriate exenlptions. By reason of the evidence presented and duty to the protection of the health, safety, and welfare of the citizens of the Commonwealth, the Board for Professional and Occupational Regulation, after collaboration with the Department of Health Professions, hereby refers these reports to the Govenl0r and General Asselnbly. I an1 pleased to submit the results of these studies to you. The Board conducted the studies in accordance with Section 54.1-310 of the Code of Virginia, which gives authority to study and make recommendations to the General Assembly on the need to regulate professions or occupations and, if so, the degree of regulation that should be imposed. Board for Architects, Professional Engineers, Land Surveyors, Certified Interior Designers, and Landscape Architects, Board for Asbestos, Lead, and Home Inspectors, Auctioneers Board, Board for Barbers and Cosmetology, Board for Branch Pilots, Cemetery Board, Board for Contractors, Board for Geology, Board for Hearing Aid Specialists, Board for Opticians, Polygraph Examiners Advisory Board, Professional Boxing and Wrestling, Real Estate Appraiser Bllard, Real Estate Board, Board for Professional Soil Scientists, Board for Waste Management Facility Operators, Board for Waterworks and Wastewater Works Operators. The Honorable H. Russell Potts, Jr. The Board for Barbers and Cosmetology voted on March 5, 2001, to request the Board for Professioml and Occupational Regulation (Board) to conduct a study to determine the need for regulation of estheticians. On November 13, 2001, the Board reconU11ended that further coordinated study be done with the Department of Health Professions to determine the appropriate regulation ofthis and related occupations. The Board conducted the study in accordance with Section 54.1-310 of the Code of Virginia which gives authority to study and make recommendations to the General Assembly on the need to regulate professions or occupations and, if so, the degree of regulation that should be imposed. Section 54.1-311 B. of the Code of Virginia, states that whenever the Board determines that a profession or occupation should be regulated, it shall consider degrees of regulation and shall regulate only to the degree necessary to fulfill the need for regulation and only upon approval of the General Assembly. In April 2002, the General Assembly established separate licensing categories for wax teclmicians, tattooists and body piercers under the Board for Barbers and Cosmetology. The Board reviewed the competencies and standards of practice for estheticians in the Commonwealth and other jurisdictions. The study's objectives were to determine specialized skills and training, independent judgment required, actual harm and potential risk for harm to the consumer, the scope of practice, the economic impact of regulation, other alternatives than state regulation, and the least restrictive level of regulation that is consistent with the protection of the public's health,safety and welfare. Public comment supported regulation of estheticians but indicated that several license categories may be needed to encompass the different services provided and the training and education required to perform these services in a manner that protects the health, safety, and welfare ofthe citizens of the Commonwealth. Based on research and public comment, the Board has found convincing evidence to support regulation by nlandatory licensure of Estheticians through the Board for Barbers and Cosmetology with appropriate exemptions. By reason of the evidence presented and duty to the protection of the health, safety, and welfare of the citizens of the Commonwealth, the Board for Professional and Occupational Regulation, after collaboration with the Department of Health Professions, rereby refers this report to the Gener.lJAssembly and the Governor with copies to the Department of Health Professions and Board for Barbers and Cosmetology. As directed by the 1988 General Assembly, the Board of Commerce (predecessor to the Board for Professional and Occupational Regulation) studied the need for licensing estheticians. After conducting public hearings and reviewing written comments, the Board of Conunerce concluded that the potential for harm necessitated close monitoring, but reconunended no regulatory program be implemented at that time. 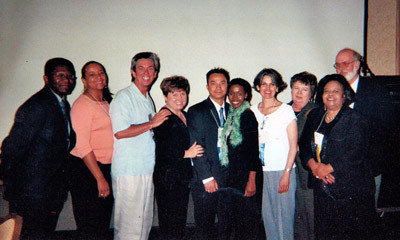 Upon consideration of the statutory and regulatory changes resulting from the merger of the Board for Barbers and the Board of Cosmetology, on December 4, 2000, the new Board for Barbers and Cosmetology revisited the issue of licensing individuals who only administer skin or coslnetic treatments and moved to seek advice from the Office of the Attorney General. 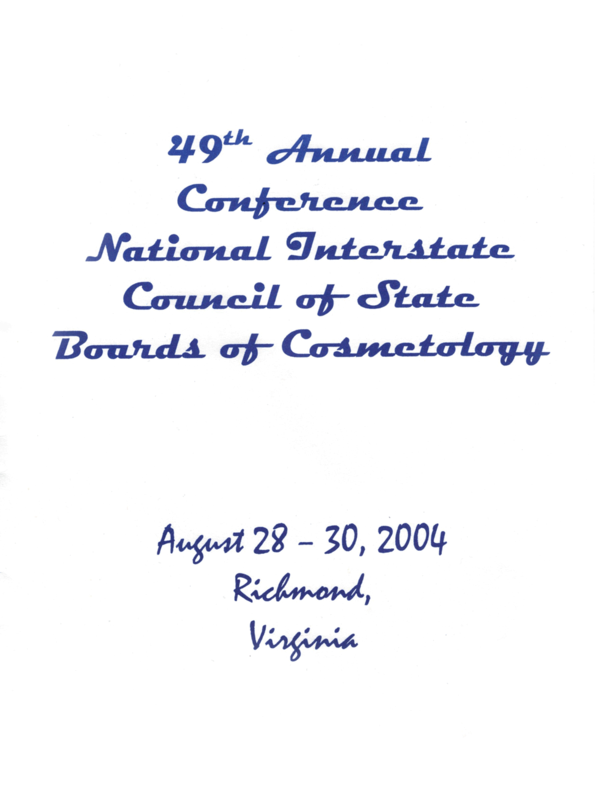 Legal advice from the Assistant Attorney General stated that there is no indication that, with its 2000 amendments to § 54.1-700 of Code of Virginia, the General Assembly intended to impose a new licensure requirement for those who only administer skin or cosmetic treatments separate and apart from the traditional professional practices associated with barbering, cosmetology, or nail care. On further advice from the Attorney General's Office, the Board for Barbers and Cosmetology voted on March 5, 2001, to request the Board to conduct a study to determine the need fir regulation of estheticians. In April 2002, the General Assembly established separate licensing categories for wax technicians, tattooists and body piercers under the Board for Barbers and Cosmetology. On November 13, 2001, the Board recommended that fUrther coordinated study be done with the Department of Health Professions to determine the appropriate regulation of this and related occupations. Section 54.1-310 of the Code of Virginia provides the statutory authority for the Board to study and make recommendations to the General Assembly on the need to regulate professions or occupations and, if so, the degree of regulation that should be imposed. 1. Whether the practitioner, if unregulated, performs a service for individuals involving a hazard to the public health, safety or welfare. Board for Professional and Occupational Regulation Estheticians Study (11-18 -02) Page 30f 18 2. The opinion of a substantial portion of the people who do not practice the particular profession, trade or occupation on the need for regulation. 3. The number of states which have regulatory provisions similar to those proposed. 4. Whether there is sufficient demand for the service for which there is no regulated substitute and this service is required by a substantial portion of the population. 5. Whether the profession or occupation requires high standards of public responsibility, character and performance of each individual engaged in the profession or occupation, as evidenced by established and published codes of ethics. 6. Whether the profession or occupation requires such skill that the public generally is not qualified to select a competent practitioner without some assurance that he has met minimum qualifications. 7. Whether the professional or occupational associations cb not adequately protect the public from incompetent, unscrupulous or irresponsible members of the profession or occupation. 8. Whether current laws which pertain to public health, safety and welfare generally are ineffective or inadequate. 9. Whether the characteristics of the profession or occupation make it impractical or impossible to prohibit those practices of the profession or occupation which are detrimental to the public health, safety and welfare. 10. Whether the practitioner performs a service for others which may have a detrimental effect on third parties relying on the expert knowledge of the practitioner. Section 54.1-2510, of the Code of Virginia provides the statutory authority for the Board of Health Professions to advise the Governor, General Assembly and the Director of the Department of Health Professions on matters relating to the regulation or deregulation of health care professions and occupations. 1. What specialized skills and training do estheticians possess? To what degree is independent judgment required in their practice? What is the documented actual hann and potential risk for harm to the consumer resulting from the tasks performed and judgments made by these practitioners? Is. the scope of practice distinguishable from other regulated occupations or professions? What would be the economic impact to the public if this group was regulated? Are there alternatives other than state regulation of this occupation that would adequately protect the public? If the Board determines that this profession requires state regulation, what is the least restrictive level that is consistent with the protection of the public's health, safety and welfare? A review of the general policy literature related to the regulation of estheticians was conducted. A review of the current relevant federal and states' laws and regulations was conducted. A review of the definition and scope of practice for estheticians was conducted to determine all facets of the knowledge, skills, abilities, and tasks involved in the practice of this occupation in order to assess the risk of harm to the consumer. Malpractice insurance coverage data was reviewed for individuals, salons, and schools engaged in offering esthetic services or training in conjunction with other data, to address risk of harm to the consumer and the economic impact on the practitioner. Three public hearings were conducted to receive comments from the public on the issue of the state regulation of this occupation, including any public health and safety issues germane to current practices. Relevant health professional constituents were notified of all hearings and opportunities for public comment. As defined in Milady's Standard Comprehensive Training for Estheticians (2002), a leading educational resource for the esthetics profession, esthetics (aesthetics) is a branch of anatomical science that deals with the overall health and well-being ofthe skin, the largest organ in the human body. Maryland - To provide an individual for compensation the service of: (1) cleansing, exercising, massaging, stimulating, or perfonning any other similar procedure on the skin or scalp by electrical, mechanical, or any other means; (2) applying to the face an alcohol, cream, lotion, astringent, or cosmetic preparation; or (3) removing superfluous hair by the use of a depilatory, tweezers, or wax. Illinois - Any person who for compensation, whether direct or indirect, including tips, engages in the following practices: (1) beautifying, massaging, cleansing, exfoliating the stratum corneum of the epidermis or stimulating the skin of the human body, except the scalp, by use of cosmetic preparations, body treatments, body wraps, the use of hydrotherapy, antiseptics, tonics, lotions or creams or any device, electrical or otherwise, for the care of the skin; (2) applying make-up or eyelashes to any person, tinting eyelashes and eyebrows and lightening hair on the body except the scalp; and (3) removing superlluous hair from the body of any person by the use of depilatories, waxing or tweezers. However, esthetics does not include services provided by a cosmetologist or electrologist. Estheticians are prohibited from performing any procedure which may puncture or abrade the skin below the stratum corneum of the epidermis or remove closed milia (whiteheads), which may draw blood or serous body fluid. The term esthetics includes rendering advice on what is cosmetically appealing, but no person licensed under this Act shall render advice on what is appropriate medical treatment for diseases of the skin. Arkansas - Any combination of the following practices: (1) massaging, cleaning, or stimulating the face, neck, anns, bust, or upper part of the human body by means of the hands, devices, apparatus, or appliances, with or without the use of cosmetic preparations, antiseptics, tonics, lotions, and creams; (2) beautifying the face, neck, ann, bust or upper part of the human body, by use of cosmetic preparations, antiseptics, tonics, lotions, or creams; (3) removing, temporarily, superfluous hair from the body of any person by the use of depilatories or by the use of tweezers, chemical, or preparations or by the use of devices (..;- appliances of any kind or description, except by the use of light waves, commonly known as rays. Spa or Salon Estheticians - Cater primarily for the rejuvenation or relaxation and focus on the palJl)ering aspect of esthetics. The procedures and modalities that are fairly consistent in the definition and scope of practice for an esthetic ian are indicative. of the education and training required to demonstrate minimal competence and proficiency in order to provide esthetic services in a manner that protects the public health, safety, and welfare. In addition to satisfactory completion of education and training in theory, some states, such as Oruo, require that an individual desiring a skin care (esthetician) license also complete an intem;hip program mandating hours of teclmical instruction and practical operation (performances). There are currently nine proprietary schools in Virginia that offer an esthetician training program. These schools are certified and monitored by the Proprietary Division of the Department of Education. The certificatbn process includes curriculum review, assessment of staff qualifications, and the adequacy of the school's facility and equipment. Yvonne De Vilar Scientific Skin Care, Ltd.
Training and educational opportunities are also made available to estheticians by professional associations such as the National Coalition of Esthetic & Related Professional Associations (NCEA) which publishes The Medical Journal for Skin Care Professionals (PCI). The American Estheticians Education Association publishes Skin Inc., a monthly magazine dedicated to current issues, trends, and challenges in the skin care industry. These and other professional associations related to the practice of esthetics also set standards, and codes of ethics for the industry, however, membership and adherence to these standards are voluntary. Of the first two services listed, microdermabrasion and chemical peels, it is necessary to point out that both of these exfoliation procedures have often been the subject of controversy between the esthetic and medical professions. The Esthetics Manufacturers and Distributors Alliance (EMDA) of the American Beauty Association has recommended that all exfoliation procedures perfonned by estheticians be referred to as exfoliations, rather than peels in order to clarify the domain of the esthetician verses that of the physician. During an exfoliation procedure, also known as a superficial peeling, perfonned by an esthetician, only the stratum mrneum (the outennost layer of the epidermis) is affected. Any procedure that removes cells beyond the stratum corneum is considered a medical peel and should only be performed by a dennatologist or plastic surgeon. The delineation between these two exfoliation procedures, the use of certain levels of glycolic acids, and the use of instruments associated with the practice, often described as "sandblasting" equipment for the skin, are some of the issues that the industry and regulatory agencies have had to closely examine in order to ensure consumer safety. In advancing its goal to enhance the professional treatment of clients of the professional beauty industry, EMDA has published "Guidelines for Professional Cosmetic Resurfacing Exfoliating Procedures" that have been endorsed by the National Interstate Council of State Boards of Cosmetology (NIC). The Ohio Board of Cosmetology has adopted these same guidelines and requires all of its licensees providing microdermabrasion services to adhere to the guidelines in providing these services. In addition to endorsing the EMDA guidelines referenced above, the NIC has published Health and Safety Standards for the industry, based on the potential risks to clients, practitioners, and students. These standards address blood spill procedures, infection control, wet disinfection and storage standards. Laser hair removal - (The acronym derived from Light Amplification by Stiniulated Emission of Radiation.) A direct beam of radiation that penetrates the epidermis creating a photochemical destruction of hair follicles (photothennolysis). Pulsed Light hair removal - The use of energy pulsed light (or photo light) at intervals of a thousanqth to almost a billionth of a second to destroy the vein ofthe hair bulb. Since Virginia does not regulate estheticians, the use of these devices and the risk to consumers can not be monitored. Another aspect of the esthetics profession which borders on a practice often regulated under medical boards, as is the case in Virginia, is body massage services. The body massage services are frequently offered by day spas as part of their "Body Services" package along other services such as body wraps and body masks. One of the leading educational resources for the esthetics profession, Milady's Standard Comprehensive Training for Estheticians, points out that licensure for body massage varies from state to state and that a massage therapist license may be required to offer this service. Referring to his handling of numerous claims related to the esthetics industry, Mr. Kretzmer states that many of the claims stem from untrained, under trained and unregulated individuals practicing esthetics. In addition, Kretzmer states that it has and continues to be his direct experience to fmd many Virginia Esthetic salons, spas, and schools without the proper esthetic malpractice liability or those that are perfonning services for which there is simply no malpractice coverage under their current policies. Kretzmer points out that this is a very serious situation because if a claim or incident occurs where a consumer is injured, there may be no or limited insurance coverage available to assist the injured. Mr. Kretzmer advised that the current minimum annual premium for general and malpractice insurance offered by Inner Harbour Insurance for estheticians and esthetic salons offering standard skin care services (not including microdermabrasion and chemical peels) is $350.00. This premium provides for coverage in the amount of one million dollars per occurrence, and one million dollars aggregate for the practitioner or the salon. Kretzmer advised that since estheticians operate as sole proprietors they are only required to pay $350.00. For those estheticians and esthetic salons that do offer microdermabrasion and chemical peel services, or any additional specialty services such as electric steam baths, electrolysis, and aromatherapy, for example, there is an additional charge per service based on gross receipts. Mr. Kretzmer advises that the minimum annual premium for general and malpractice coverage for esthetic schools is $50.00 per student which provides the school with the same coverage as estheticians and esthetic salons. At this time, Virginia, Connecticut, Kentucky, and South Dakota are the only states that do not regulate estheticians. Since the time of the previous study in 2001, the state of North Carolina has increased its hours of education from 450 to the national standard of 600. Utah, the most recent state to enact laws requiring licensure, established a two tier license (l) a basic esthetics license which requires 600 hours of training and (2) a master esthetics license which requires an additional 600 hours with a minimum of 200 in lympathic training and 100 in anatomy and physiology. In Maryland, an esthetician must complete 600 hours of instruction or a twelve month apprenticeship in licensed salon, and effective March 2002, use or possession of lasers or microdermabrasion machines in any salon or by any practitioner is prohibited. South Carolina requires 450 hours of training for estheticians and an esthetic license is not recognized in a medical practice. The District of Colwnbia requires 350 hours of training to be eligible for an estheticians license, and the state of West Virginia requires 600 hours. According to Marian Raney, Editor, Skin, Inc., magazine, there are an estimated 40,000 practicing estheticians nationwide (taken from Cosmetology state boards) and approximately 7,000 day spas nationwide (information taken from Price Waterhouse Coopers International Spa Association (ISPA) study). The Board's inquiry into the number of complaints filed with other state boards pertaining to estheticians does not ildicate any significant number of consumer complaints prior to, or after, the enactment of their esthetician licensing programs. However, based on interviews with various state board administrators, the risks ofharm to consumers of esthetic services such as chemical peels, microdermabrasion, and waxing, was a major factor in development of their regulatory programs. The U.S. Food and Drug Administration (FDA) determined that microdermabrasion equipmert was a Class I exempt device in 1998. This means that the FDA has no control over who uses these devices, however, individual states may impose regulations regarding use of microdermabrasion equipment. In 1993, The Occupational Safety and Health Act (OSHA), in its federal oversight of workplace safety for employees developed guidelines for the safe handling of bloodborne materials instruments and equipment. These voluntary guidelines are designed to reduce the occupational risk and exposure to the HIV (AIDS) virus and hepatitis B virus (HBV). Another OSHA requirement that affects the practice of esthetics is the mandatory use of a Material Safety Data Sheet (MSDS) due to the use of chemicals in the workplace. These forms include information about flammability, toxicity, how to handle spills, and other information pertaining to the use of chemicals in the workplace. Public comment supported licensure of estheticians. Several comments gave evidence that there is a large spectrum of services provided by estheticians and the education and training needed to be proficient in these services varies as well. If estheticians are regulated, public conunent indicated that several license categories may be needed to encompass the differert services provided and the training and education required to perform these "services in a maImer that protects the health, safety, and welfare of the citizens of the Commonwealth. September 20, 2002, 1:30 p.m.
October 4, 2002, 10:00 a.m.
Based on research and public comment, the Board has found convincing evidence to support regulation by mandatory licensure of Estheticians through the Board for Barbers and Cosmetology with appropriate exemptions. By reason of the evidence presented and duty to the protection of the health, safety, and welfare of the citizens of the Commonwealth, the Board for Professional and Occupational Regulation, after collaboration with the Department of Health Professions, hereby refers this report to the General Assembly and the Governor with copies to the Department of Health Professions and Board for Barbers and Cosmetology. HB 2510 Barbers and Cosmetology, Board for; regulation of estheticians. "Esthetician" means a person who engages in the practice of esthetics for compensation. "Esthetics" includes, but is not limited to, the following practices of administering cosmetic treatments to enhance or improve the appearance of the skin: cleansing, toning, performing effleurage or other related movements, stimulating, exfoliating, or performing any other similar procedure on the skin of the human body or scalp by means of cosmetic preparations, treatments, or any nonlaser device, whether by electrical, mechanical, or manual means, for care of the skin; applying make-up or eyelashes to any person, tinting or perming eyelashes and eyebrows, and lightening hair on the body except the scalp; and removing unwanted hair from the body of any person by the use of any nonlaser device, by tweezing, or by use of chemical or mechanical means. However, "esthetics" is not a healing art and shall not include any practice, activity, or treatment that constitutes the practice of medicine, osteopathic medicine, or chiropractic. The terms "healing arts," "practice of medicine," "practice of osteopathic medicine," and "practice of chiropractic" shall mean the same as those terms are defined in § 54.1-2900. "Esthetics instructor" means a licensed esthetician who has been certified by the Board as having completed an approved curriculum and who meets the competency standards of the Board as an instructor of esthetics. "Esthetics spa" means any commercial establishment, residence, vehicle, or other establishment, place, or event wherein esthetics is offered or practiced on a regular basis for compensation under regulations of the Board. "Master esthetician" means a licensed esthetician who, in addition to the practice of esthetics, offers to the public for compensation, without the use of laser technology, lymphatic drainage, chemical exfoliation, or microdermabrasion, and who has met such additional requirements as determined by the Board to practice lymphatic drainage, chemical exfoliation with products other than Schedules II through VI controlled substances as defined in the Drug Control Act (§ 54.1-3400 et seq. ), and microdermabrasion of the epidermis. "Nail care" means manicuring or pedicuring natural nails or performing artificial nail services. L. Saphonia Gee founded the SVSS (The Society of Virginia Skin Care Specialists), in order to provide guidance and leadership to the Esthetics profession in Virginia. Ms. Gee and SVSS played a critical role in getting Virginia HB2510 passed into law. HB2510 was the inaugural law that required licensing of estheticians in the Commonwealth of Virginia. Saphonia Gee owns an aesthetics school in Portsmouth and plans to open a skin-care center in Virginia Beach this spring with her partner, Kim Thumel. She said that they were motivated to push for the bill because the lack of licensing is an insult to those who take the profession seriously. “It just makes the industry itself look bad,” Gee said. “And it’s dangerous.” An aesthetician is someone who treats skin to enhance beauty. Until recently, only wealthy consumers or Europeans had aestheticians, Gee said.